Photo courtesy of zimbio.com. Ubaldo Jimenez (pictured above) has had a nightmarish past two years. Sunday added to the woes. Can he ever regain his form from April-July of 2010? 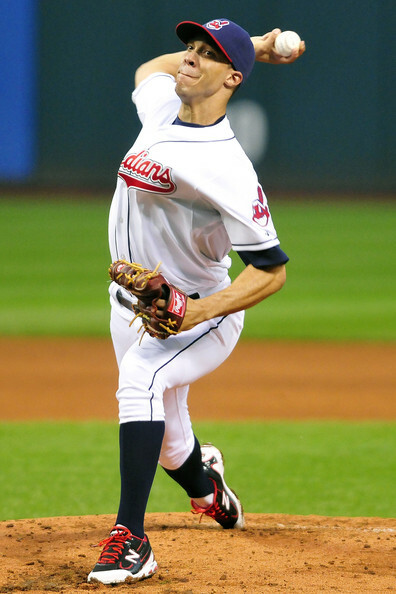 Back on July 8, 2010, Ubaldo Jimenez was hands down the best pitcher in baseball. He was sitting pretty with a 15-1 record and a 2.20 ERA. Jimenez was just a couple of days away from representing the National League as the starting pitcher in the All-Star Game, and appeared to be on track to break records. Nearly two years later, Ubaldo’s world has been flipped upside down. On April 1, 2012, Ubaldo Jimenez hit a new low. Going against his former teammates for the first time, Ubaldo took aim at Rockies star Troy Tulowitzki. There is no way to be 100% sure that Jimenez beamed Tulo on purpose, but his reaction did not provide any comfort for those on either side. Jimenez seemed ready to throw down with his former teammate whom most are aware was never his favorite person. I know that players get hit by pitches every game. Even at times pitchers drill opposing hitters on purpose. It is a part of baseball and has been for well over 100 years.